The idea of 'civilisation' has always been debated, even fought over. At the heart of those debates lies the big question of how people - from prehistory to the present day - have depicted themselves and others, both human and divine. In Part One, she examines how the human figure was portrayed in some of the earliest art in the world - from the gigantic stone heads carved by the Olmec of Central America to the statues and pottery of the ancient Greeks to the terracotta army of the first emperor of China. And she explains how one particular version of representing the human body, which goes back to the ancient world, still influences (and sometimes distorts) how people in the West see their own culture and that of others. Read the companion volume, Civilisations: First Contact/ The Cult of Progress in which historian David Olusoga looks to piece together the shared histories that connect nations across the world. 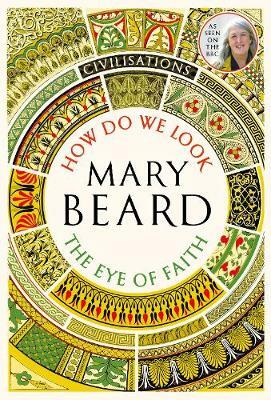 Arguably Britain’s best-known classicist Mary Beard is a Professor of Classics at Cambridge University and classics editor of the TLS. Amongst her best known publications are SPQR, Pompeii (accompanying the BBC television series of the same name), Confronting the Classics and It’s a Don’s Life (based on her regular column for The Times.